I-nomad: CAG, Computer Aided Governance: Will future governments be replaced by a computer? I have been mentioning this last week in a comment on Lani's ever-inspiring blog. As far as I know the idea was first put forward by Martin Amstrong in 2011. Amstrong explicitely refers to expert systems, but fails to address how such a system will be implemented. One of the oldest examples of an expert system is IBM's Deep Blue, a computer specifically made to play chess. In 1997 Deep Blue managed to beat world champion Kasparov. More recently PC software has been able to beat grandmasters with low cost hardware. The first unmanned car is soon to get it's driver's licence. Expert systems are at the moment still quite expensive, but are already able to manage to beat humans in broader skills, such as expertise knowlegde in specific subjects. 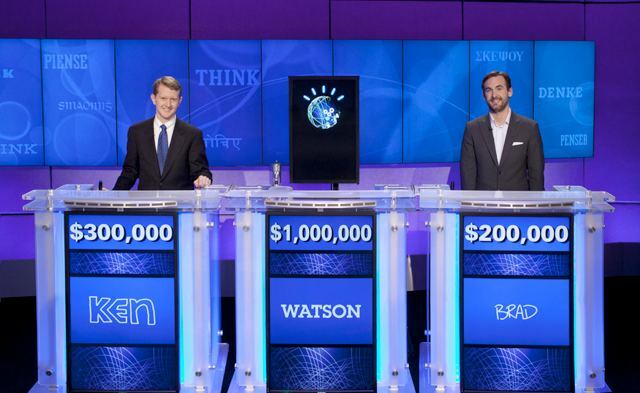 See also the Watson beats human contestants in Jeopardy. It is expected that experts systems will be taking over human tasks such as helpdesks within this decade, ie. they would be able to takeover human tasks right now, but the hardware is still too expensive to replace humans. An obvious advantage would be that the quality and availability of service would increase whereby the costs would decrease. (How many times have you been connected through for the same question, not to mention the waiting time.) In the further future it is expected that computers will aid and partly replace scientists. In the future computer scientist will have the reverse meaning. In analogy to the helpdesk systems it is easy to foresee that one day we run certain hardware and software which has more present knowledge than a politician and his assisitants. This will certainly not be the beginning of big brother, but a choice of reliability, efficiency and costs. Politicians gain peoples trust trough their ego, but their ego is often the cause of unsound judgement. Democracy needs to set new standards for people who are getting better informed. As a whole, politics is intransparent, and this is what makes people mistrust their government. A lot of tax-money is spent on people talking, debating and stretching their ego. In principle a government is a service product we put in place and pay for to make us feel more comfortable. Quite often people feel dissappointed, the service didn't turn out as it was advertised. Especially in times of economic recession people will mistrust their government. Economic recession comes forth from negative thoughts about the future and a mistrust in government(s) to repair the damage. In the beginning expert systems would be a merely a tool of assistance for lawmakers and politicians. An expert system would know all existing laws and legislation. It would also contain common human knowledge and case laws, to judge the human interpretatation of specific laws. At a certain moment in time the systems will become open to party members and in a later stage to the public to show greater transparency. As soon as it will have proven it's effectiveness, politicians will not need too many human assistants anymore. If proven sound, a big part of government's bureaucracy can be replaced by expert systems as well. Basically all middle-management would be replaceable, just the executive and top branches would remain. The system of governance could still be democratic and based on human parties, with a party program, just like it is now. In monarchies (symbolic) heads of state would still symbolize the unity of certain countries, as much as presidents will try to represent this function in a republic. Opposition parties are still able to question the government, but questions need to be asked to the ruling party's expert system first. Any flaws in law and party policy will be open for debate. Parties can act on questions, flaws or suggestions put forward by voters. Expert systems will not be holy, certain things need time and public acceptance in order to change. Coalitions could still be formed to represent a majority if required. This can take place either based on human negotiation, or in a later stage based on negotiation sofware. Negotiation sofware takes in account the party policies, importance, and outcomes of earlier human debates. An expert system could advise to hold a referendum on moral issues or key issues. A human court of justice again aided by expert systems could oversee any flaws or wrongdoings of the computer aided government. Provided the technology is transparent such a system would better serve it's voters, through sound judgements, costs and effectiveness of policy. In a later stage governments could be purely based on input by citizens. The first open source software used for crowdsourcing is already operational in Reykjavik and will be available soon for all citizens of Iceland, see:citizens.is.